Qatar will not be represented by a senior official at an Arab summit taking place in Saudi Arabia on Sunday, in a sign that a nearly year-old dispute between Gulf Arab neighbours is still a long way from being resolved. Saudi Arabia, the United Arab Emirates, Bahrain and Egypt severed diplomatic and transport ties with Qatar in June 2017, accusing it of supporting terrorism. Doha denies the charges and says the boycott is an attempt to impinge on its sovereignty. The Qatari delegation will be headed by Doha’s permanent representative to the Arab League, Saif bin Muqaddam al-Buainain, the state news agency said without elaborating. Most of the 22 other countries are represented by heads of state or government. Qatari Emir Sheikh Tamim bin Hamad al-Thani headed Qatar’s delegation at last year’s Arab summit in Jordan. Sheikh Tamim returned to Doha on Saturday from a US trip where he met President Donald Trump, who had publicly sided with the Saudis and Emiratis early in the crisis, but is now pushing for a resolution to restore Gulf Arab unity and maintain a united front against Iran. Saudi foreign minister Adel al-Jubeir said on Thursday that Qatar’s crisis would not be on the table at the Arab League summit, Al Arabiya reported. 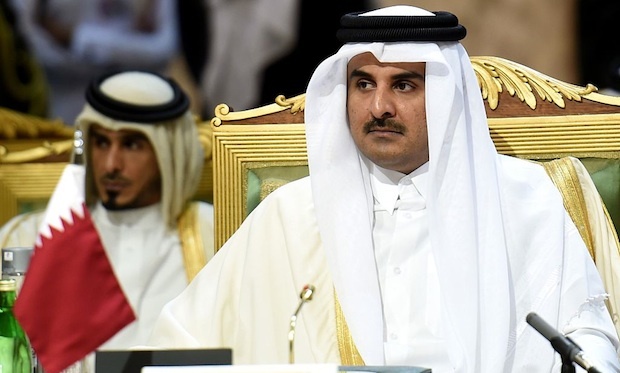 Ahead of the summit, the four boycotting nations reaffirmed that their demands on Qatar – including closing Al Jazeera television station and reducing ties with Iran – were “a necessary basis” for a resolution to the crisis.